Patent Attorneys based in Lagos Nigeria. Clear Insightful Creative. IP is our business. Services: Patents, Designs, Transfers of IP Rights. 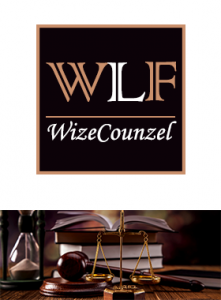 WizeCounzel Law Firm is a full-service commercial law firm with specialization in intellectual property law. We handle the whole spectrum of IP services including Searches, Filing and prosecution of trade marks, patent and Designs, Renewal of Industrial Property Rights, Transfers of IP Rights, Watch Services, IP Due diligence, Infringement/Passing off, Regulatory Matters (NAFDAC and SON), Domain Name/Internet matters etc.